China has a thousand year old history of acrobatics, with incredibly gifted and talented performers. Most start at a very young age, which is the only way to compete in the Chinese acrobatics show world. Extreme toughness and courage is required from the performers. The Chaoyang Theatre is considered one of the best Chinese acrobatics performances. As the Chinese acrobatics is such an important part of everyday culture and lifestyle in China it is no wonder that nearly all the major cities boast high quality acrobatic venues. However if one has a limited time to spend in the republic and wants to see an highly acclaimed acrobatic show, one should head to the capital. 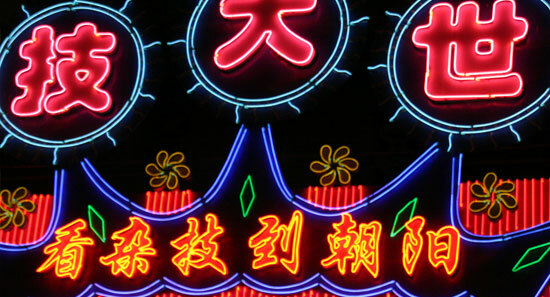 Beijing has a deep culture heritage and vigorous nightlife sure to entertain visitors from all over the world. The special atmosphere in Beijing has done well in preserving a lot of Chinese traditions, including acrobatics. The most popular Beijing venues are Tiandi Theatre, Tianqiao, and what is considered the best of the three: Chaoyang Theatre. The latter venue has remarkably managed to incorporate even very modern acts that melt together into a special combined style of "Beijing Acrobatics". For any spectacle, the unity between the acts is what creates the tension and beautiful flow of the show. And as far as acts as concerned, there are too many amazing possibilities to put into one. The latest trend in Chinese acrobatics is the death ball, where 8 motorcyclists drive around a round metal cage in the dark, only just escaping their fatal collision. From the traditional side of acts, balancing, jumping and singing have always been the favorites to leave spectators simply astounded. At Chaoyang however the bicycle act must be the favorite of classics, where at least a dozen beautiful Chinese women drive around the stage using one small bicycle. All the shows are suitable for children and not only popular amongst tourists but a popular past time for the locals. These shows keep evolving to keep the performances up to incredible heights and standards!